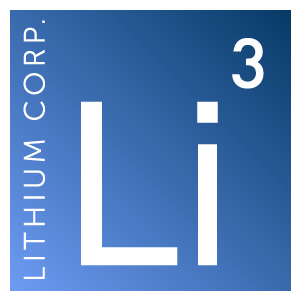 Elko, NV – May 16, 2018 – Lithium Corporation (OTCQB:LTUM) (“LTUM” or “the Company”), a North American company focused on energy metals for the growing energy storage sector and high tech industries, is pleased to announce that it has commenced fieldwork on its prospects in Southern British Columbia. The spring/summer 2018 field program will kick off on the Yeehaw Rare Earth property where initial prospecting and sampling last year discovered a 30 meter wide structure which was anomalous in REE’s and also was enriched with an average 0.90% titanium. The company has added a further claim to this area, and currently holds 8365 acres (3385 hectares) here. The initial program will consist of geological mapping, prospecting, orientation soil sampling, and petrographics. Because of the continued strong price of Cobalt, and an anticipated spike in demand for Nickel due to the increase in consumption for the battery market, the Company also has been actively assessing Nickel – Cobalt +/- Copper deposits, and has recently acquired two smaller prospects in British Columbia that the Company intends to evaluate this summer.